Purple launched in January 2016, quickly becoming an emerging leader in the development and manufacturing of innovative comfort products, including the world’s first No Pressure™ Mattress. Purple helps the world sleep and sit more comfortably with patented cushioning technology made from 20 years of innovation and a little bit of pixie dust. Purple pairs advanced products with world-class digital marketing to stand out as the world's only comfort technology brand. No matter how you sit or sleep, Purple is here to help you feel and live better. Southwest Airlines, the largest domestic carrier, serving more than 115 million passengers yearly, is connecting customers to Disney•Pixar's all-new adventure "Coco," celebrating the culture and traditions of Mexico. The airline is showcasing the beauty of the film in a high-flying way with the “Coco”-themed Boeing 737-700 aircraft flying among the carrier’s fleet throughout the United States, Mexico and Caribbean through the end of 2017. 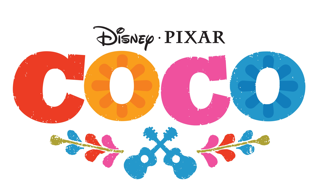 Customers can enjoy the airline's Disney•Pixar "Coco" OnDemand Channel onboard WiFi-equipped flights beginning Nov. 1. Despite his family’s baffling generations-old ban on music, Miguel (voice of Anthony Gonzalez) dreams of becoming an accomplished musician like his idol, Ernesto de la Cruz (voice of Benjamin Bratt). Desperate to prove his talent, Miguel finds himself in the stunning and colorful Land of the Dead following a mysterious chain of events. Along the way, he meets charming trickster Héctor (voice of Gael García Bernal), and together, they set off on an extraordinary journey to unlock the real story behind Miguel’s family history. Directed by Lee Unkrich (“Toy Story 3”), co-directed by Adrian Molina (story artist “Monsters University”) and produced by Darla K. Anderson (“Toy Story 3”), Disney•Pixar’s “Coco” opens in U.S. theaters on Nov. 22, 2017. For more information, check out http://movies.disney.com/coco,Hashtag: #PixarCoco, Pixar Coco Facebook, Pixar Coco Twitter and Pixar Coco Instagram.